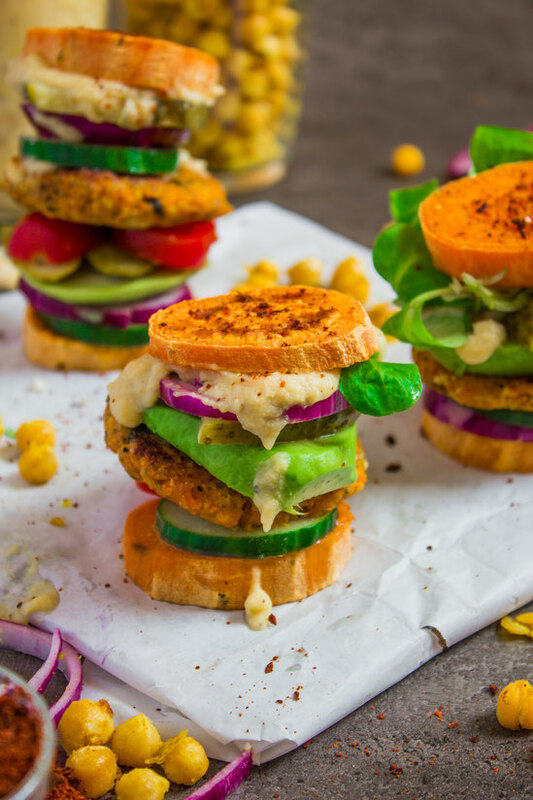 Healthy vegan recipes for everyone - simply & healthy vegan recipes that taste amazing! 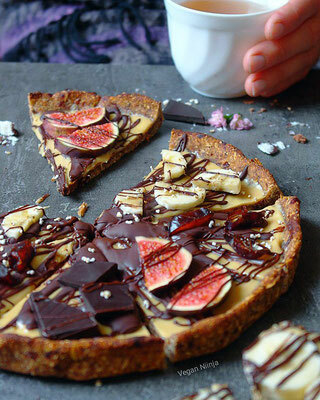 Chocolate Heaven in form of a tart! 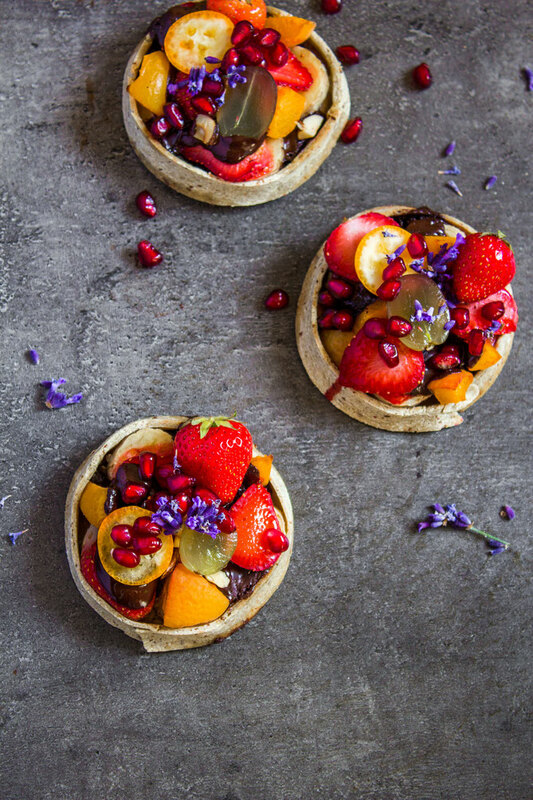 You need only a few basic ingredients for this delicious tart and you wont regret trying it out as it is so so simple to make! 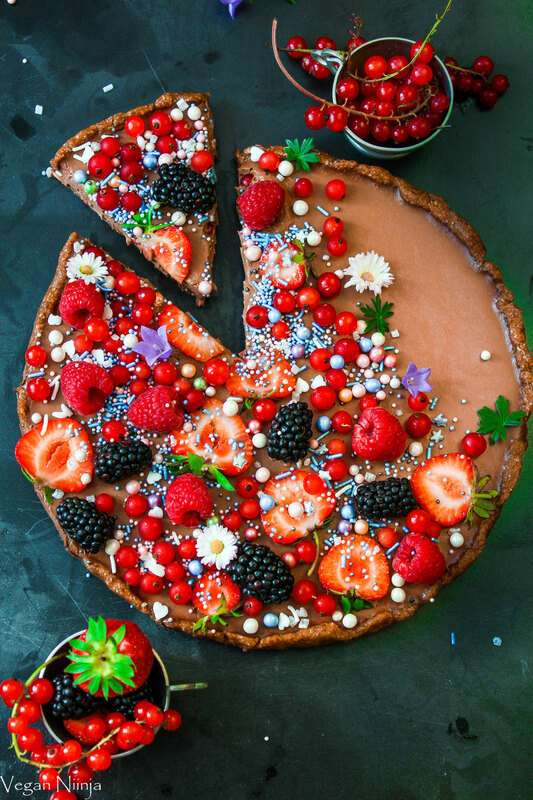 This tart is 100% vegan, gluten free, refined sugar free (if you use refined sugar free chocolate), and sweet but but to sweet! Sounds like a treat? It is! 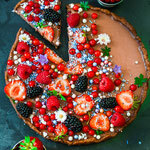 This dessert is great for all kind of celebrations and parties! I want to take this opportunity to introduce you to Vegans First. 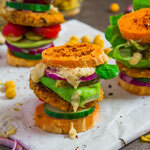 Here you can find a lot of creative vegan recipes that are super delicious and also very healthy. 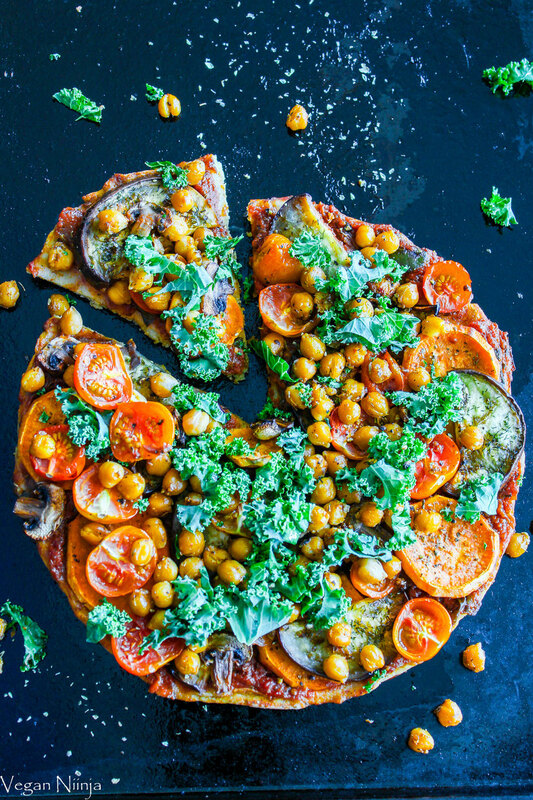 What I really love about this page is that Tully shares a lot of valuable informations about nutrients and how to become a vegan! 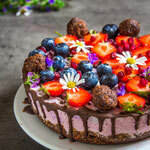 If you are a true chocoholic like me, check out this amazing chocolate cake recipe Tully shares on her blog! Enjoy! 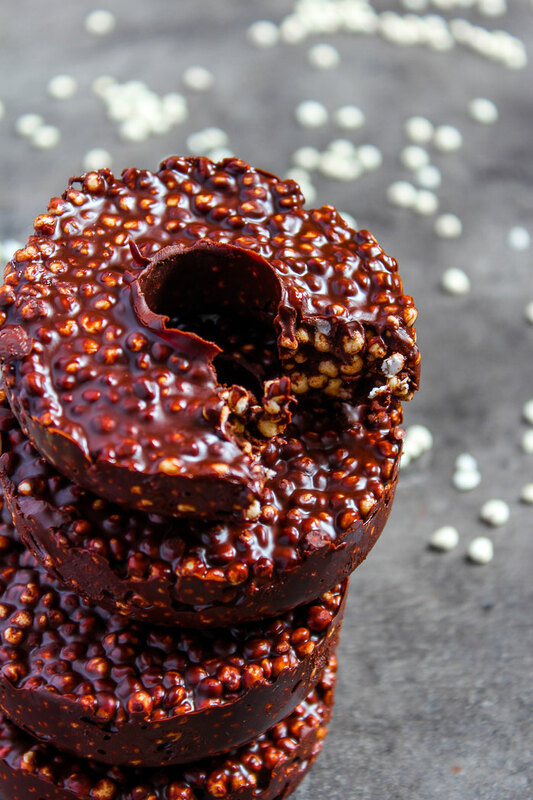 Its time to step up the chocolate game with a new kind of chocolate donut! 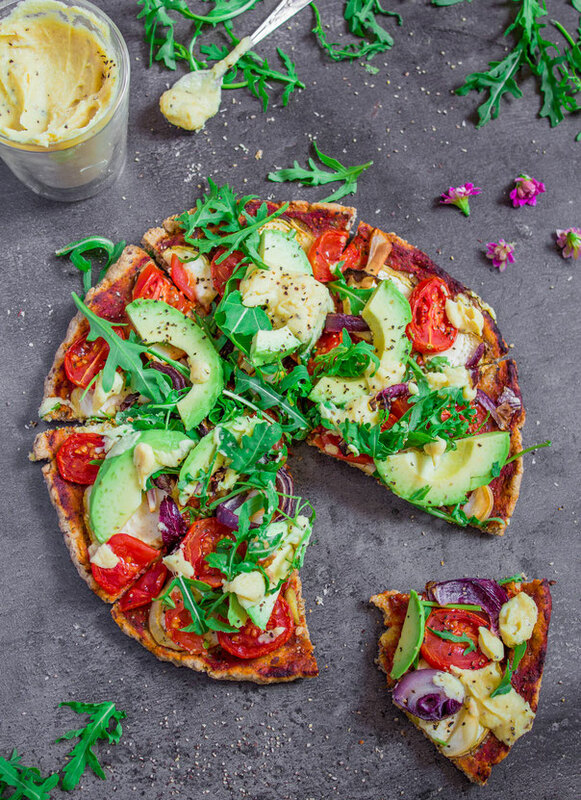 For this recipe you will only need 3 ingredients! Amazing right? Yes it is! And so delicious, in particular if you have real chocolate cravings like I am having lately! 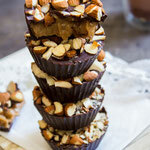 Easy chocolate cups with a creamy sweet maca-date-banana carmel filling that goes beyond words! 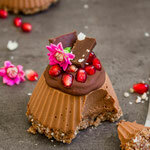 I would love to invite you all t try out this recipe and enjoy these chocolate cups with a cup of tea of coffee. 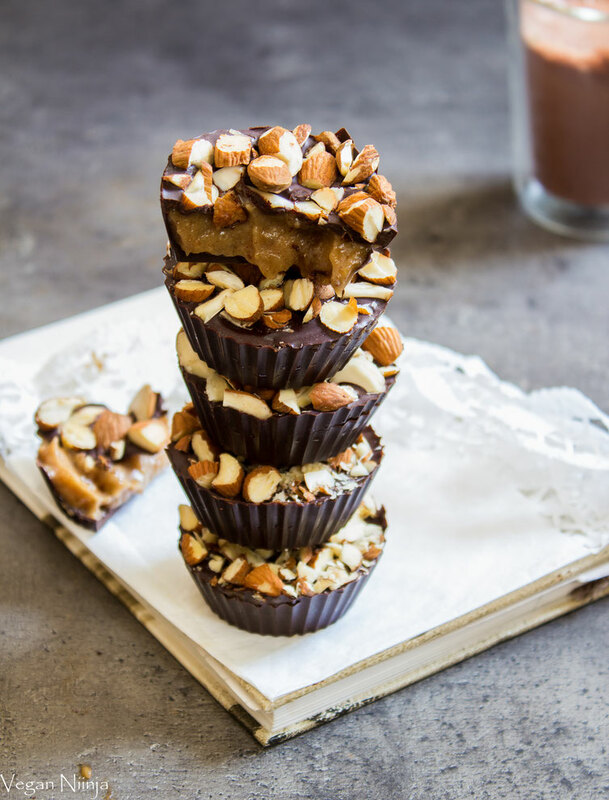 Those chocolate cups are without any added sugar, without gluten and totally vegan! 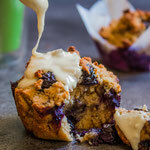 Blueberry Muffins made with tigernut and almond flour! 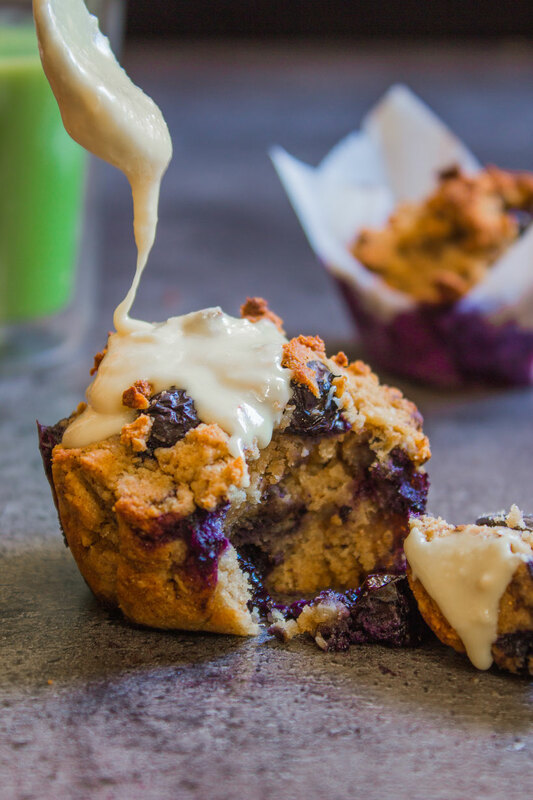 Delicious blueberry muffins with gluten free flour and coconut blossom sugar. 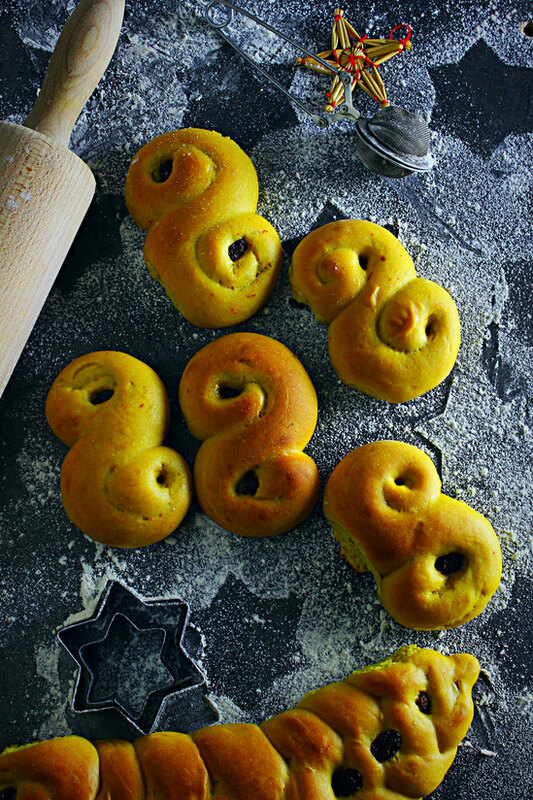 So easy to make and with a slighty taste of marzipan! I love muffins, but I rarely make them. Because I am quite new to gluten free making and haven´t find the perfect gluten free flour that I like to use. Until now! 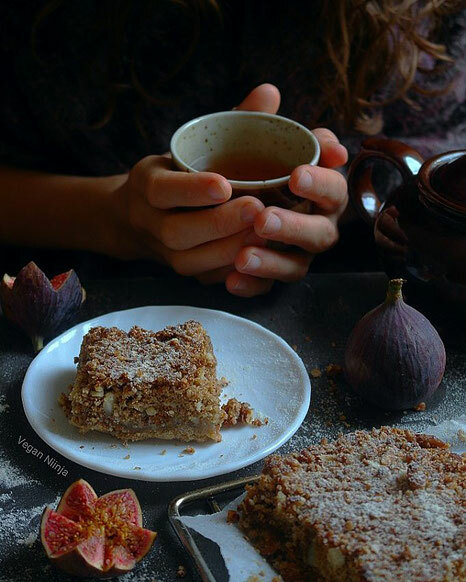 Those muffins are with tigernut flour and almond flour, which gives them a very nice sweet and nutty flavor, that I really love! The best thing with this recipe is that it is so easy to make and the blueberries and making them juicy and sweet! 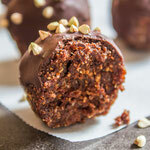 Healthy Bliss Balls with only 4 ingredients and a lot of Chocolate! Chocolate (heaven) bliss balls! 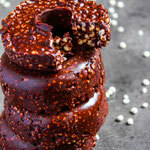 Coated with dark chocolate and decorated with some extremely crunchy buckwheat hearts! 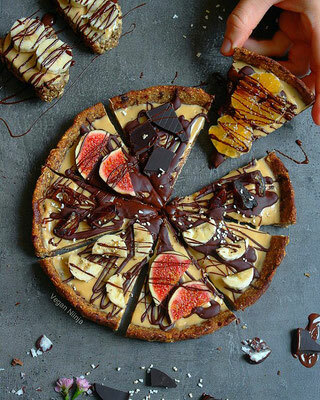 YUM! 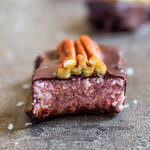 The best thing about these treats is that you only need hazelnuts, dates, coconut shred, and cacao powder. Nothing else! Those bliss balls are perfect on the go, on travels, a pre-dinner snack, after a workout, or at any time! I always crave for something sweet in the evening, and not always I have a piece of cake (lol), so then I go for a bliss ball! You only need to eat one of them to feel satisfied and energized, they are extremely filling even though they are quite small. 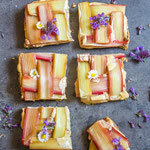 Beautiful Rhubarb Lettice Cake with a Vanilla Cheesecake Filling hidden under the sliced rhubarb. Perfect for the rhunarb season and for sweet summer days. 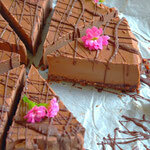 This cake is gluten free and refined sugar free, as well as oil free! Sounds great? Try it out today! 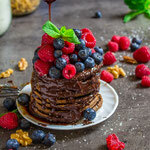 Forget all the pancake recipes you have tried so far, this is the one and only you need from now on, doesn't matter if you are a vegan or not! 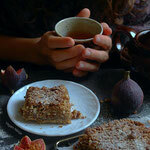 They are sweet from dates, super healthy for you with chia and oats, and also give you a real energy boost! The best part: they are super easy to make! 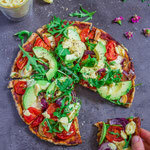 A foolproof recipe that works for everyone! 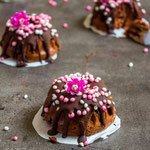 A true chocolate bomb worth making and enjoy each time you are craving for something sweet, yet healthy! 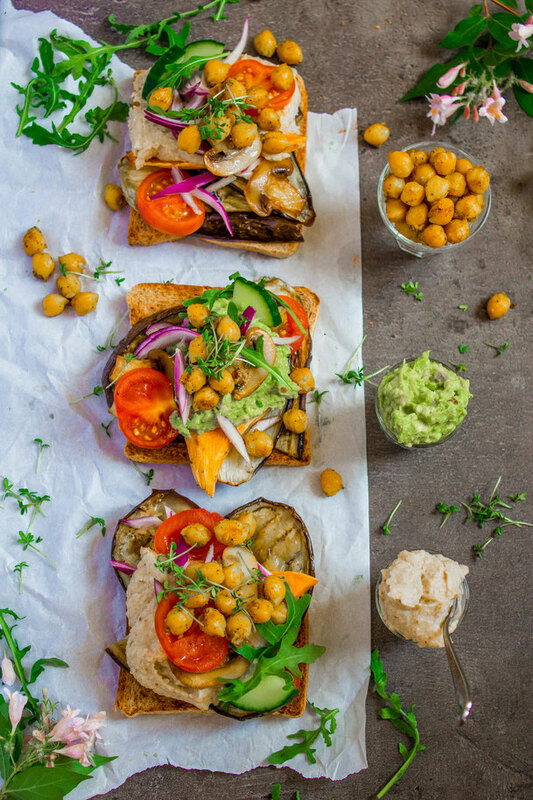 I have made this recipe quite cheap to prepare, instead of cashew nuts I used chickpeas. 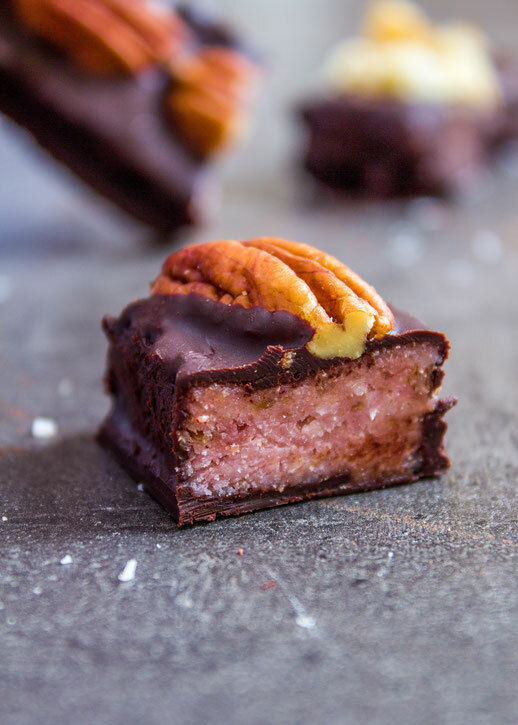 So this recipe is not only filled with chocolate and not expensive at all, it is also very high in protein! Sounds to good to be true? Try it out by yourself! 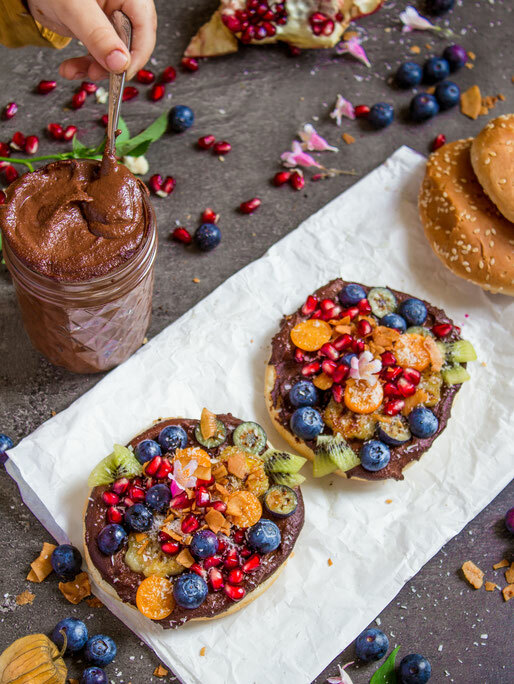 Healthy Vegan Nutella Recipe with only a few basic ingredients - perfect on bread! Homemade nutella that you will end up making at least once a week! If you are on a health care mission, this is something for you. 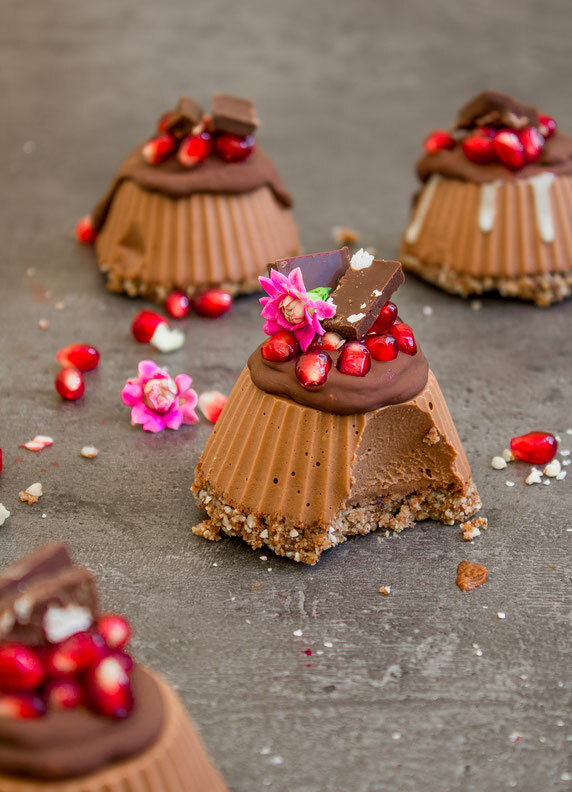 And especially if you have kids, and you want to keep them away from sugar, diary and preservative, than this is the right chocolate spread for you to give them, because this recipe has no refined sugar, no dairy and is simple to make at home. 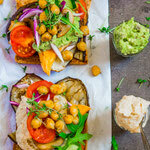 This recipe has only 4 ingredients and takes only a few minutes to prepare! Note: You will need a strong blender or food processor to handle the nuts. 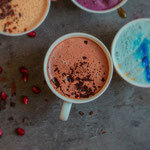 The best sugar free hot chocolate you can get! Guilt free hot chocolate for the soul. 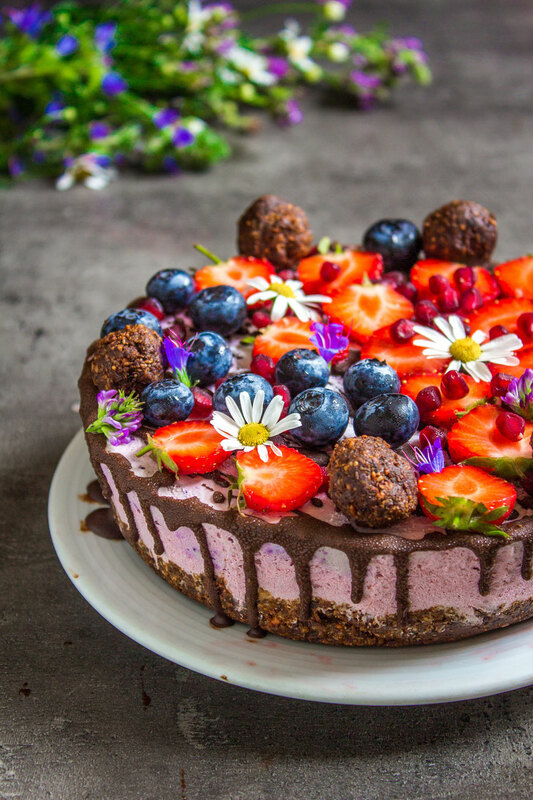 Healthy, sugar free and so delicious! All I need in the morning is a cup of my own homemade hot chocolate! Such a delicious and healthy hot drink that your kids will love! 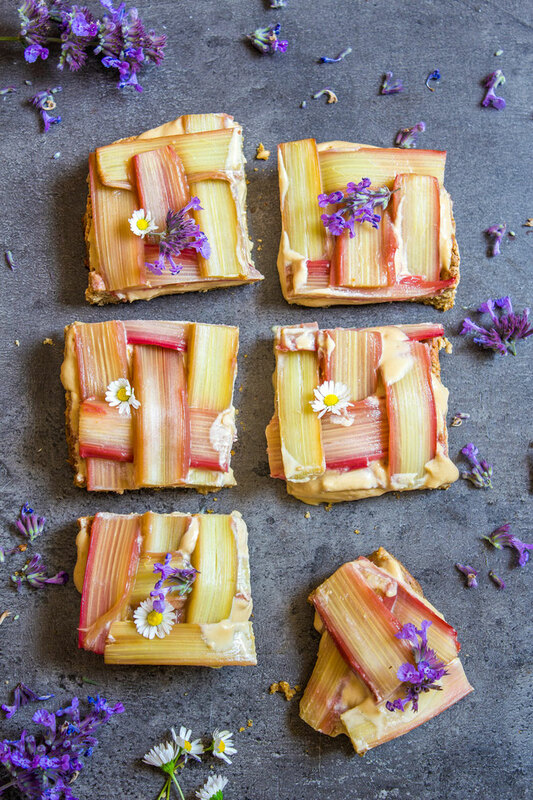 This recipe is very simple and truly addictive! Glueten free and refined sugar free soft christmas cookies! 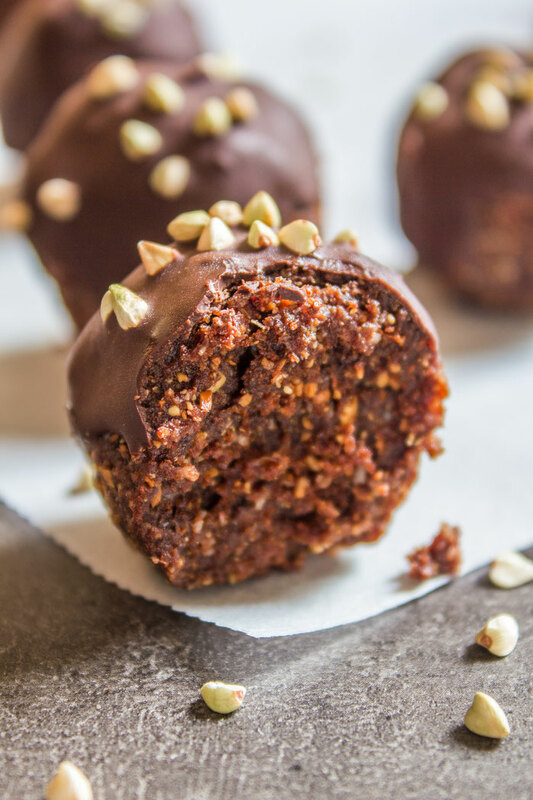 If you are looking for some healthy christmas cookies that are without gluten and refined sugar, than this is something for you! 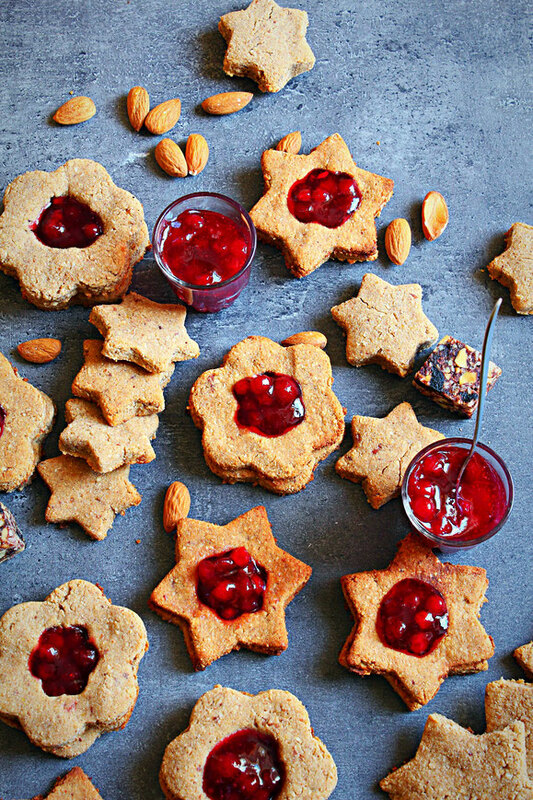 These cookies are very easy to make and with the sweet berry jam the taste is perfect! Enjoy your homemade cookies with some hot chocolate or tea to overcome the cold winter days. If you use my recipe be sure to tag me so I can find your picture on instagram and facebook! This is my version of the swedish kanelbullar, also called cinnamon buns. They are refined sugar free and completely dairy and egg free. 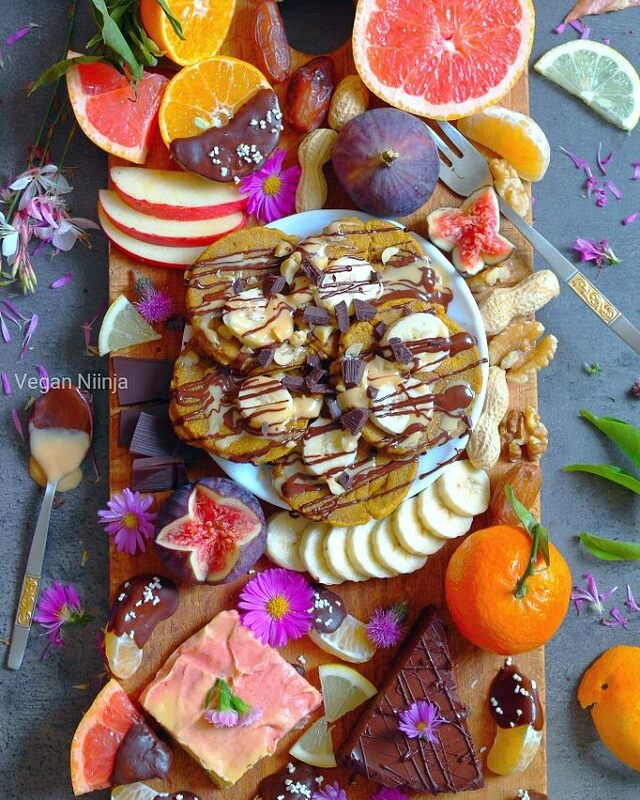 If you try them out, be sure to tag me @vegan.niinja on instagram, facebook or pinterest! These cinnamon buns are very delicious with a secret ingredient in the filling for that little extra! I honestly cant stop eating them but luckely I made a lot of them! 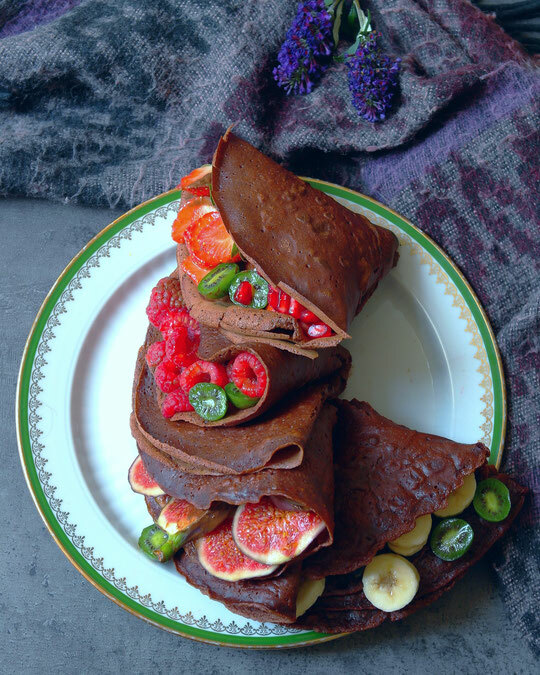 Delicious vegan Crêpes easy to make. 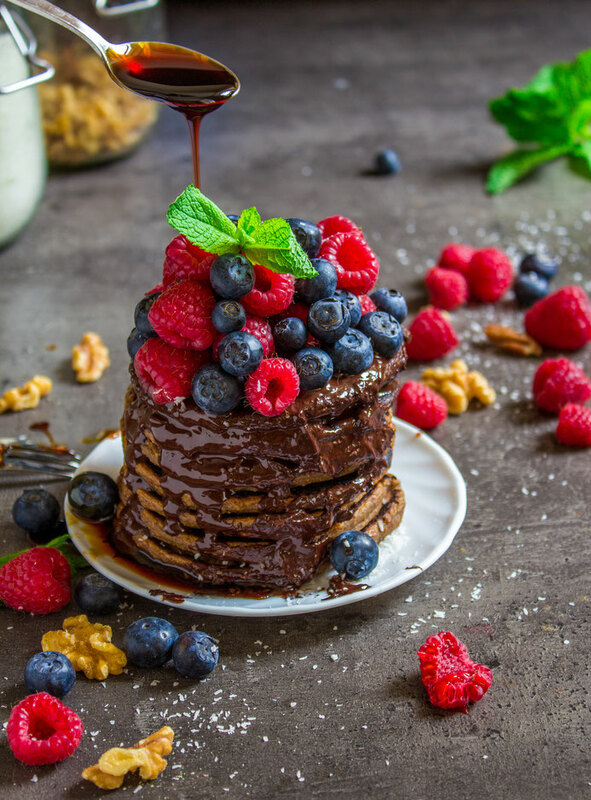 You only need 3 ingdredients for these wonderful and tasty crêpes: aquafaba, flour and some no-dairy milk! Easy peasy and takes only a few minutes to prepare! 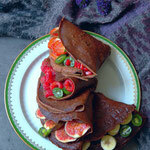 These crêpes are very healthy and filled with protein. You can serve them with berries, fruit or veggies. 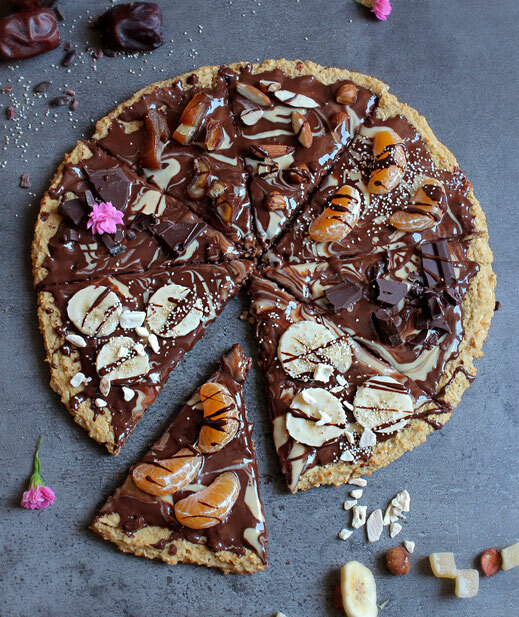 Sweet pizza for breakfast??? Yes, and it is actually very healthy! 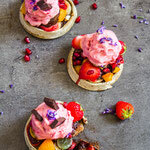 This delicious and unique breakfast treat is perfect if you plan to make something special for the weekend, I can ensure you that everyone will love it! 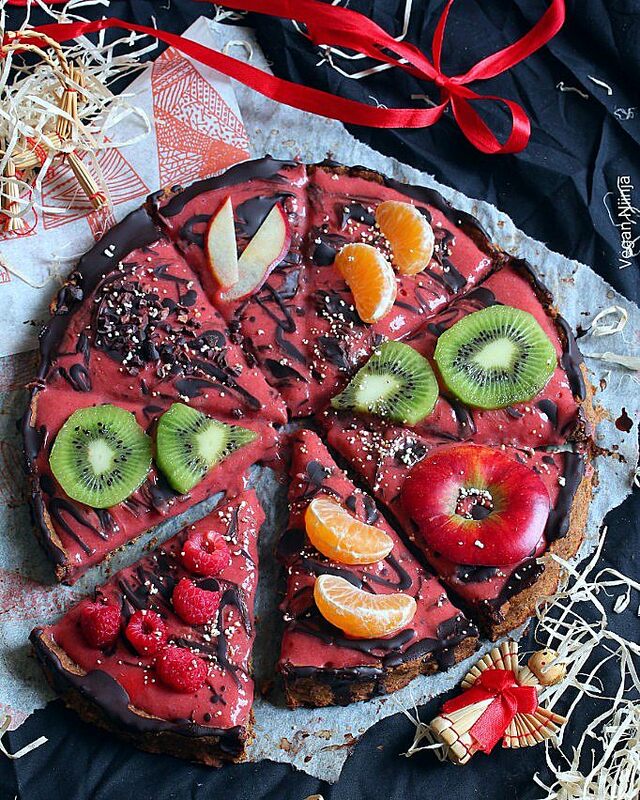 As topping you can use whatever you like, from fruits to berries, or just chocolate! Recipe is english and german! 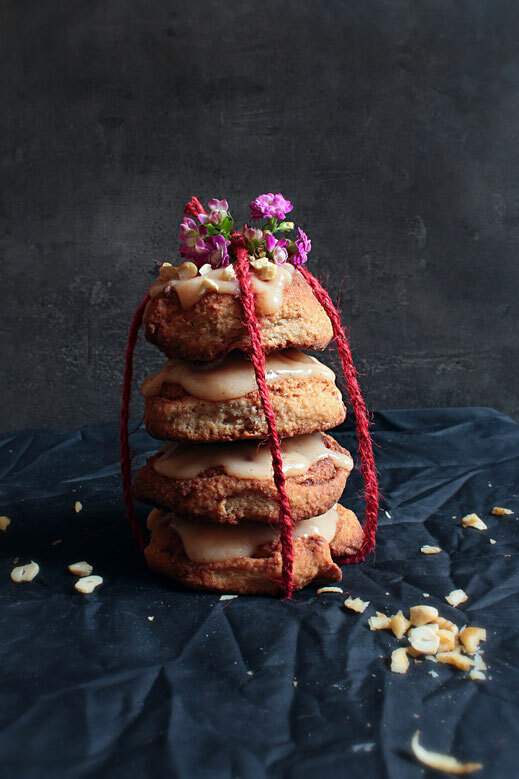 Cardamom Oatmeal Pancakes are perfect for your weekend breakfast. 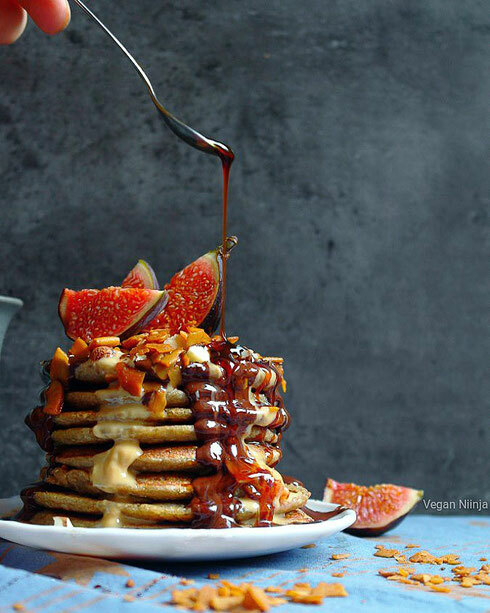 If you love cardamom and if you love oatmeal these pancakes are everything you ever dreamed of. 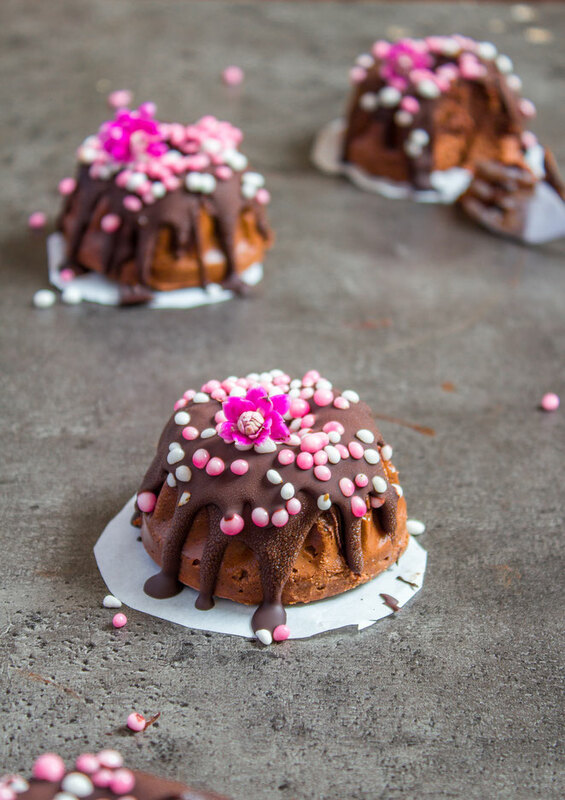 This recipe has some very special ingredients, one of them is aquafaba! 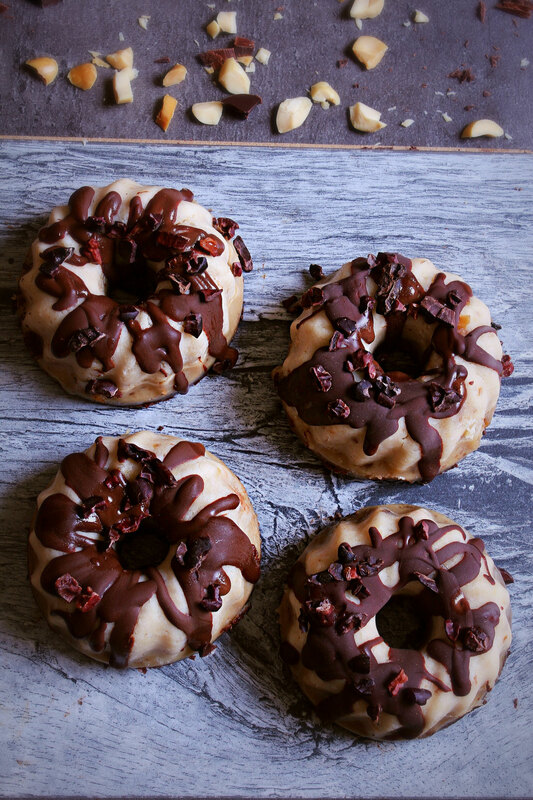 If you haven´t tried baking, cooking with aquafaba yet, you just have to try it out! It is the perfect egg-replacement subsitute! 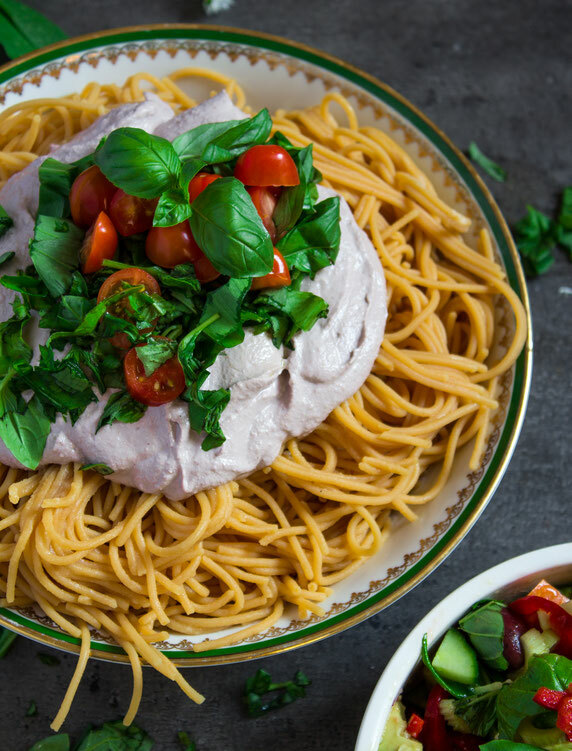 Aquafaba is the liquid of canned/boiled chickpeas and contains a lot of healthy protein. 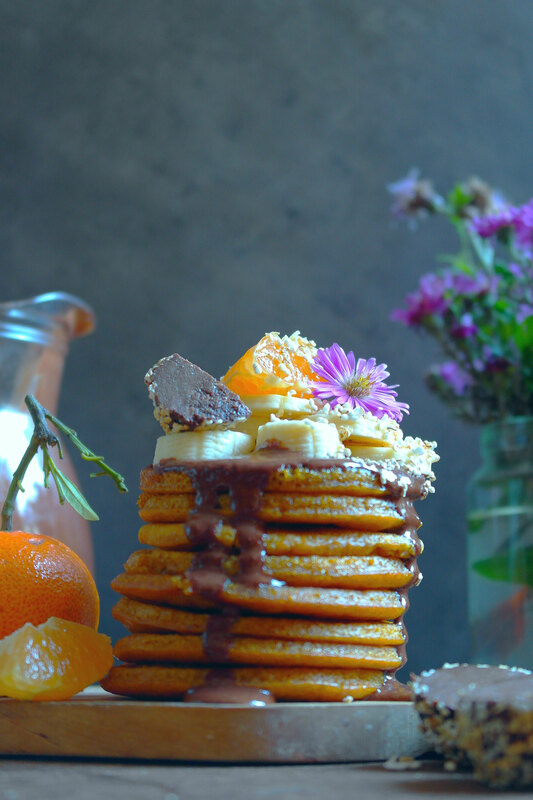 If you love pumpkins and if you love pancakes, you will adore these pancakes. 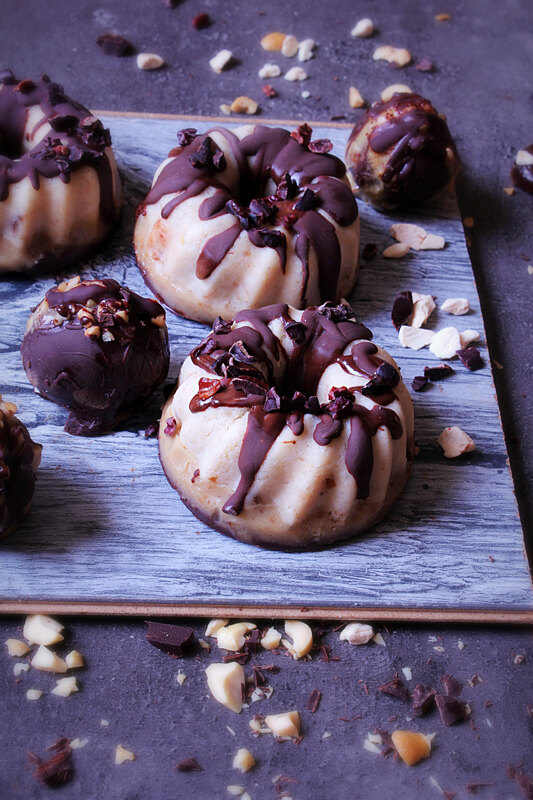 These are very easy to make and are super delicious. So I hope you give it a try. 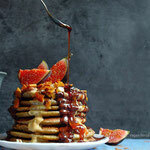 You can make the pancakes gluten free by using gluten free oats or any gluten free flour. 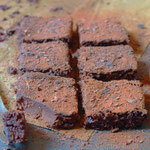 Chocolate brownies made with chickpeas! 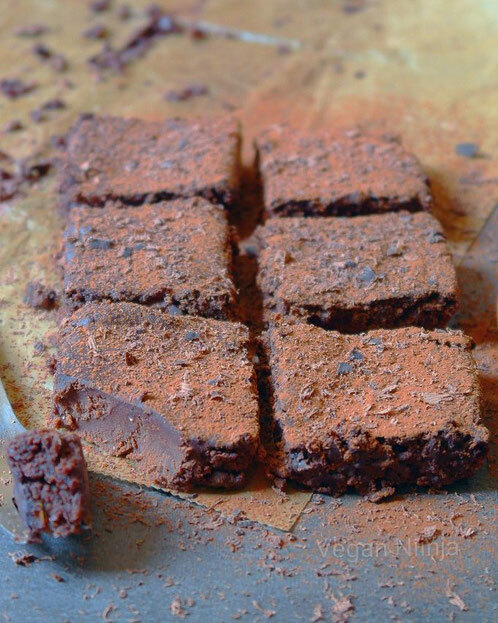 Awesome right, and I promise you these are the most rich-fudge-chocolate brownies you can make, and they are almost healthy! 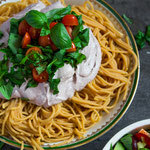 This recipe is so easy to make and takes only a few minutes to prepare. Your kids will love them, your neighbor, your dad, your husband and all your other (no-vegan) family members and friends! 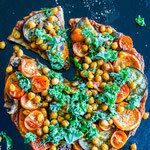 If you try it out, (I know you will), let me know what you think in the comments under the recipe! Tips: You can storage the brownies in the fridge overnight to get a extra fudge! Love, peace and CHOCOLATE understanding! 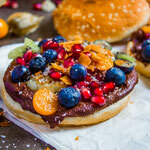 Recipe in English and German!